In the heart of it all, the neighbourhood that never stops. 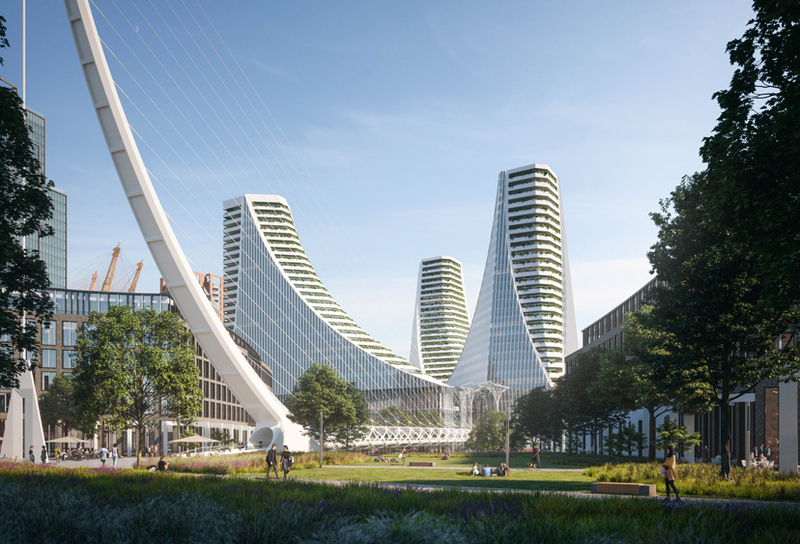 Here's Calatrava's towers, Winter Gardens and hours of pretty much everything. There are landmarks in London that never fail to evoke wonder. 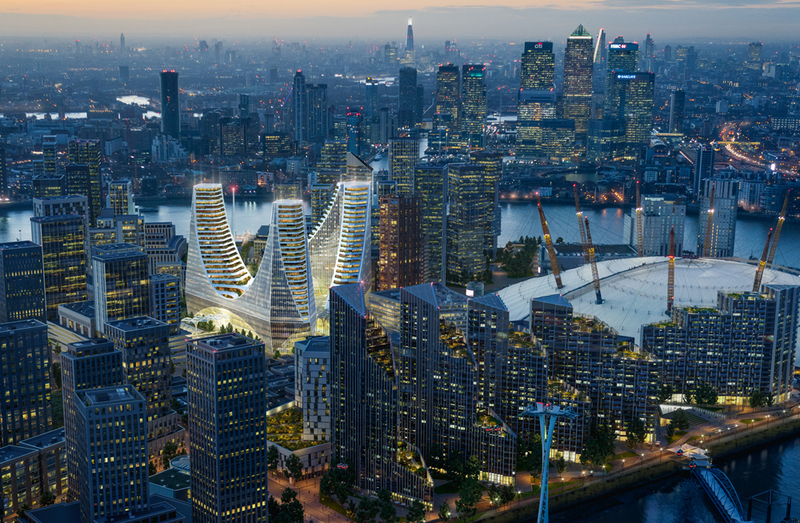 Calatrava’s first UK project on Greenwich Peninsula will be one of them. 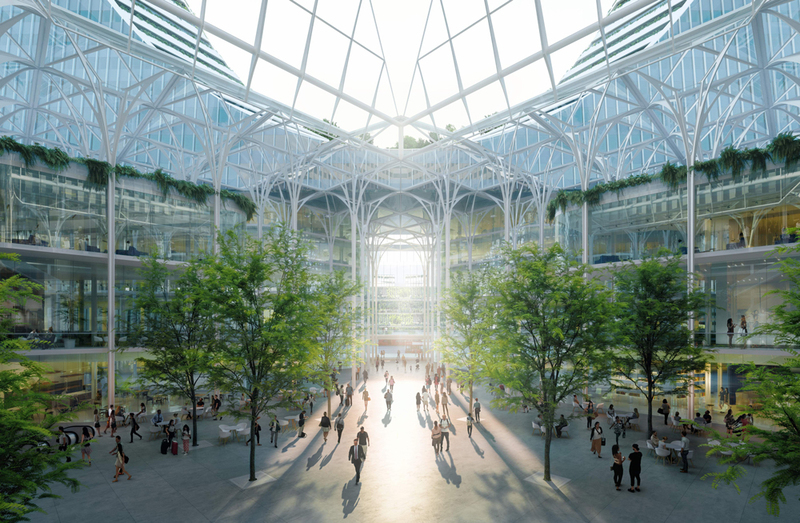 Here you will emerge from the tube into a winter garden. You will find an urban forest, a galleria and of pavement cafes and shops. Above you only glass, only sky. But it’s also a place meet for the first time. To say a goodbye. To watch your kids being silly in the sunlight. 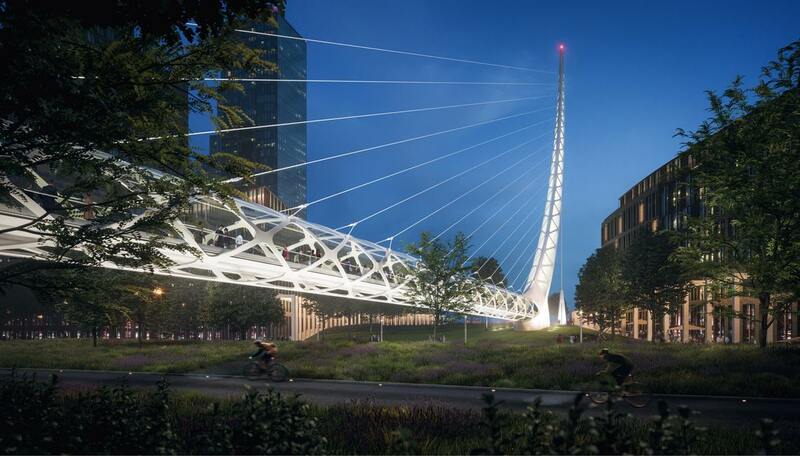 As Calatrava says, ‘it’s built around emotion’. 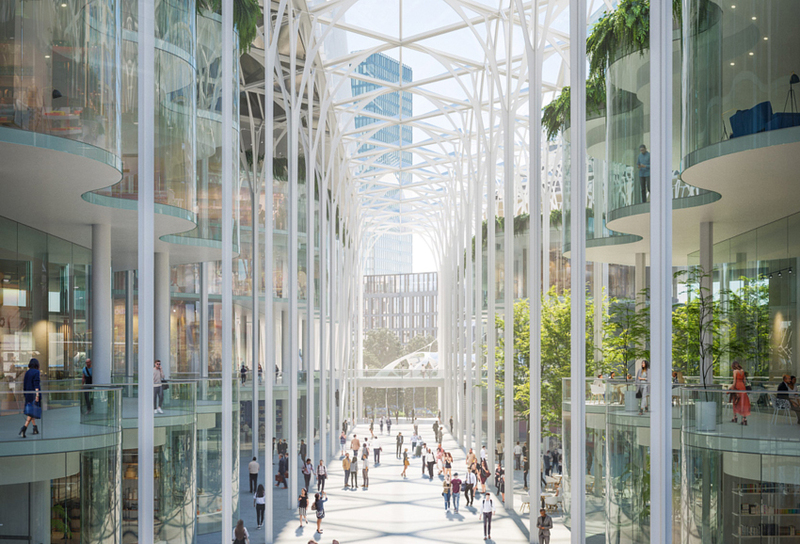 This vaulting arcade creates a promenade of pavement cafes, shops and restaurants, leading to the foot bridge, which links the galleria to a new public park on the Thames. Here a giant sundial sits on the prime meridian line. 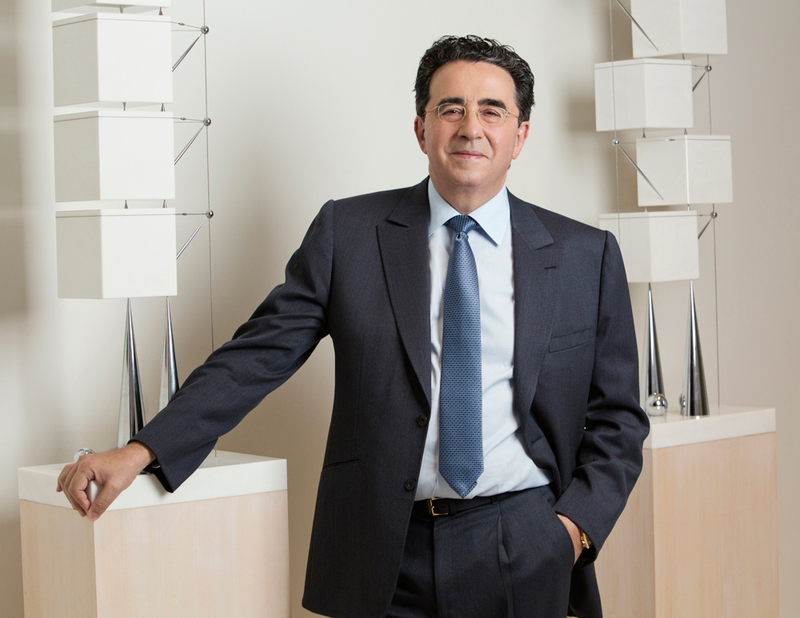 Santiago Calatrava was born in 1951 in Valencia, Spain. An architect, engineer and artist, he was initially attracted by the mathematical rigour of great works of historic architecture. 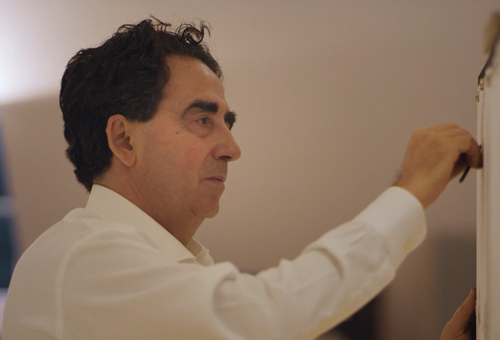 Calatrava then pursued post-graduate studies in Civil Engineering and enrolled in 1975 at the Swiss Federal Institute of Technology in Zurich. 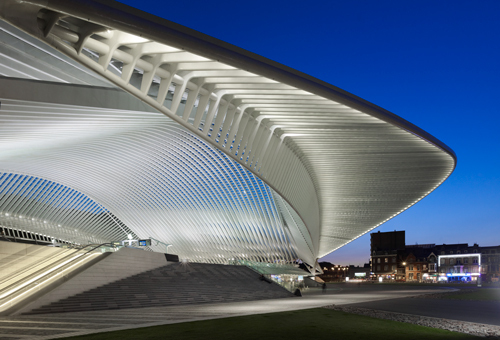 The Museum of Tomorrow, Rio de Janeiro, numerous major railway stations throughout Europe including Liège-Guillemins TGV Railway Station; The Sharq Crossing, Doha; and The Oculus, the new World Trade Center transport hub. These are just a few of his international projects. Many of these places revitalised forgotten urban areas and contributed to their cities as important regenerative elements. His work has been exhibited worldwide including in at MoMA in New York, RIBA in London, Deutsche Museum in Munich, Tokyo’s MA Gallery and Palazzo Strozzi in Florence. He has received numerous prizes and awards from renowned institutions and organisations including the UIA Auguste Perret Prize, The Gold Medal of the Institution of Structural Engineers, the Royal College of Art “Sir Misha Black Medal” (2002), and the Principe de Asturias Art Prize, and Oviedo, SEFI’s Leonardo da Vinci medal. 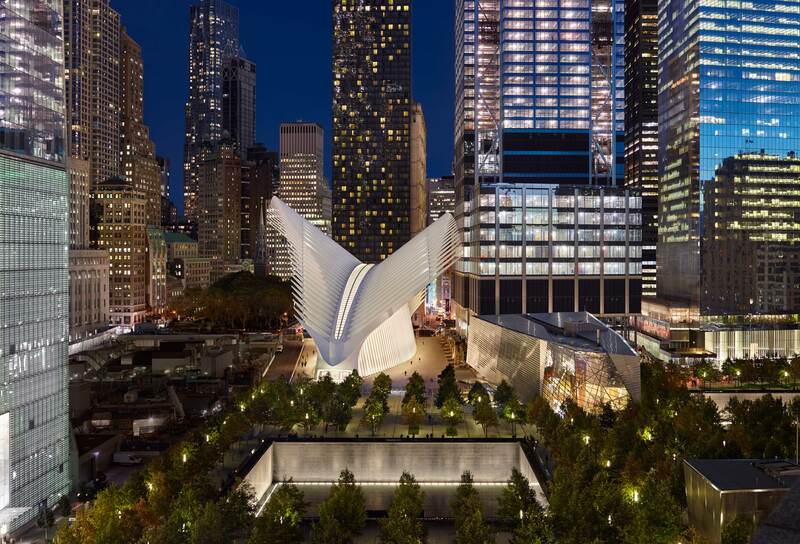 Calatrava was named a “Global Leader for Tomorrow” by the World Economic Forum in 1993 and was named as one of the 100 most influential people by Time Magazine in 2005.